I moved to the Audi marque in 2014, having come from a couple of SEAT Leon Cupras. 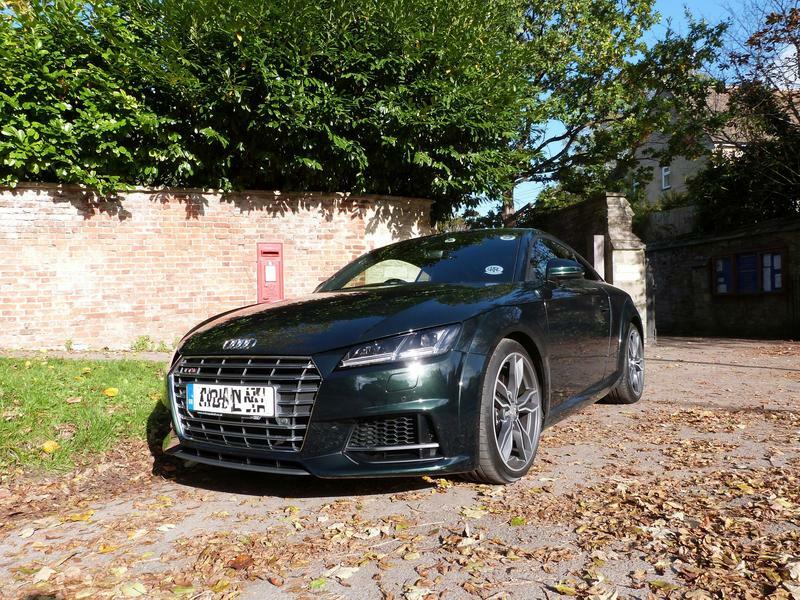 At that time it was difficult to know what to replace the last Cupra with, but for a number of reasons I bought a brand new S3 from our local dealer, Audi Tetbury. The S3 was great fun and I enjoyed every minute with the car, but after 3.5 years and 50k miles the time had come to move on. There was really no reason not to get another, but I've done that once before (ie the two Cupras) and just won't do it again. I don't see any point in sitting in what is effectively the same car for 6 or 7 years! So what to replace it with? I loved the car, it had been great, never let me down and apart from routine servicing only ever needed the infamous door rattle sorting, a front wheel bearing and a Haldex issue. All fixed under warranty (the Haldex by a software upgrade). The local dealership are great, and I have a good relationship with the staff. I was really struggling to know what to do, and didn’t feel the RS3 offered sufficient value for money given the premium over the S3. 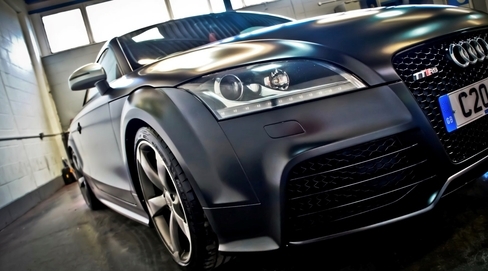 I eventually narrowed my list down to BMW M140, M-B A45 AMG or a TTS. In the end I just couldn't see myself in the BMW so ruled that out. I was concerned that the A45 would be too much of a 'hooligan' car, but had one for a 24 hour test drive. I was hoping I'd hate it, especially as I am seriously in to manual boxes and it is only available with the seven speed DCT 'box, but it was an absolute hoot. 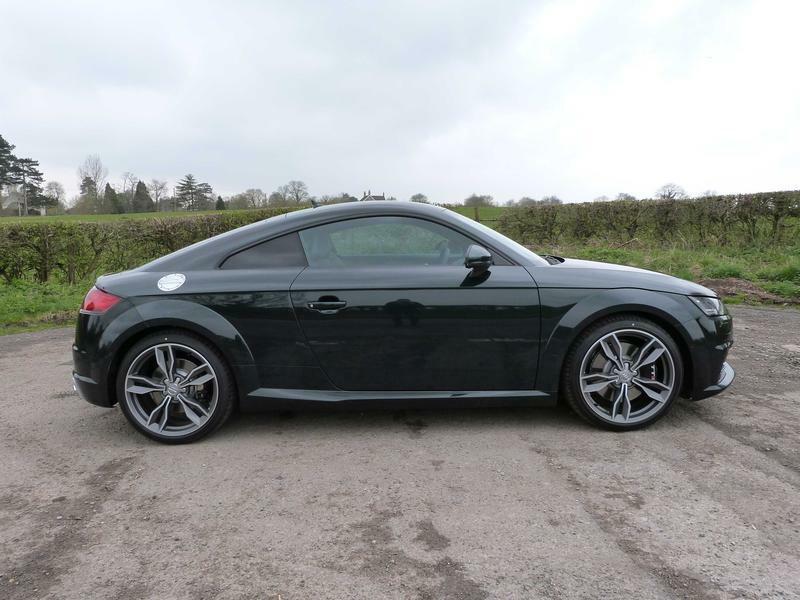 However, after much soul searching and head vs heart thinking, I eventually ordered a TTS in early December last year. 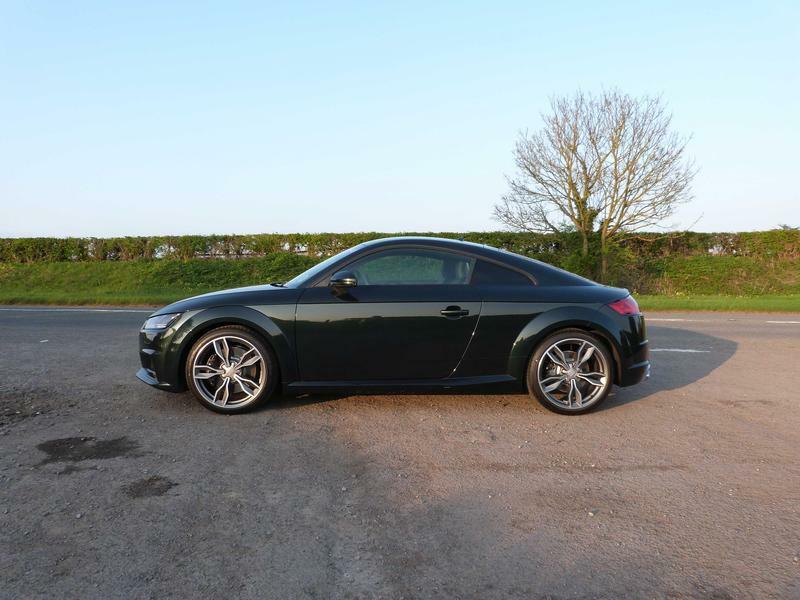 Having seen the spec, the dealer told me they fully expected a 6 month delivery, but Audi came up trumps with a March build date, and I eventually picked the car up on 10th April 2018. One of the reasons for the extended delivery was the Exclusive Paint I wanted. 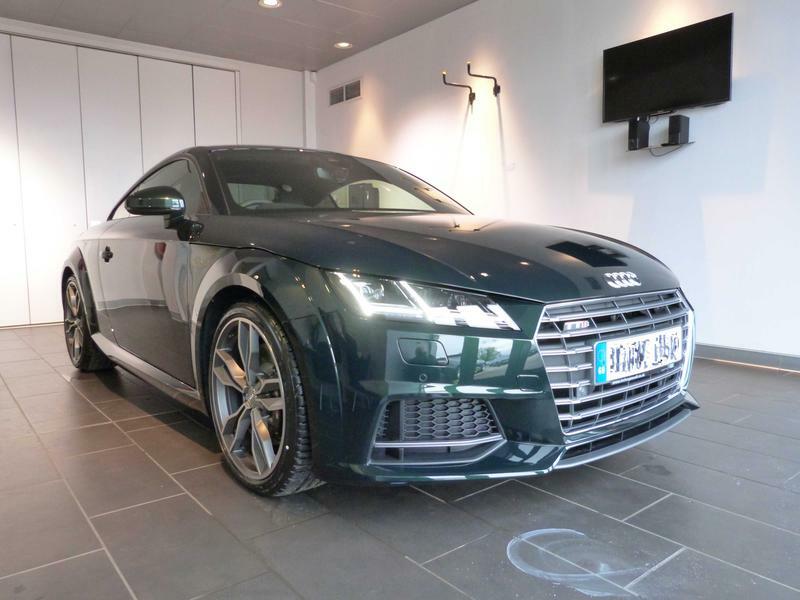 I couldn’t find a standard (ie solid, metallic or pearlescent) colour I liked, so having seen an R8 that looked spectacular in a really deep green, I chose “Tiefgruen Pearl” (Deep Green Pearl (Paint Code Z6E)). 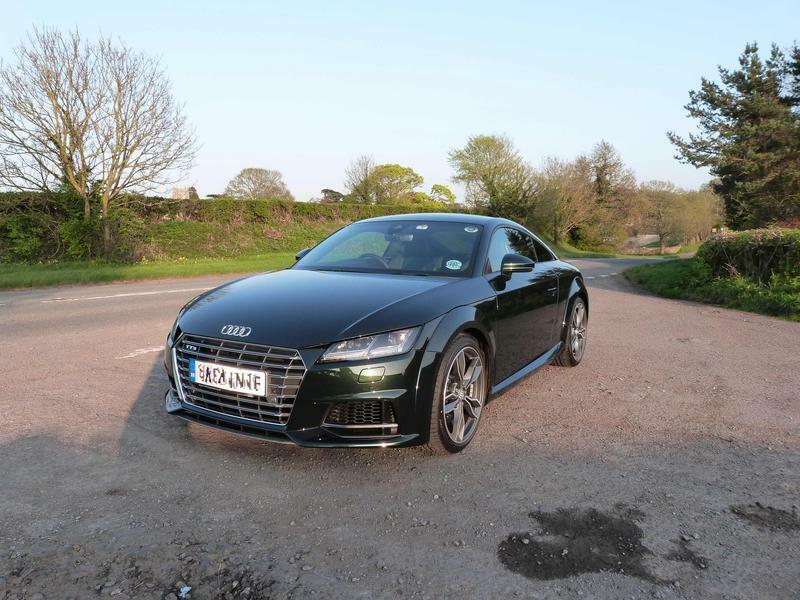 It was a bit of a leap of faith as it was chosen from the dealer’s colour swatches, which I had lined up across the lounge floor, across the patio table and even on the (protected) bonnet and roof of the S3 at various times! To say I’m delighted with the end result is an understatement. Several friends and neighbours have also commented that they ‘love’ the colour and a couple of passers by have also commented on it (favourably!). Unfortunately it has been either dull, grey, overcast or pouring with rain since I picked the car up, so I haven’t had a chance to take any serious pics yet; only one or two on collection day, but the pics (and the weather) really don’t do the colour justice. A very nice write up! So after a week's travelling, I got home, washed the car, and managed to get a couple of pics in the late evening sunshine. Hopefully they do the colour more justice!